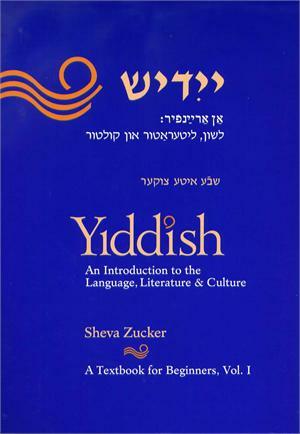 For those that are new to the Yiddish language, we highly recommend Sheva Zucker's masterful introduction: "Yiddish: An Introduction to the Language, Literature and Culture, Volume 1." DOWNLOAD THE FIRST TWO CHAPTERS OF THIS WONDERFUL TEXT TODAY! FREE! Yiddish, An Introduction, Audio Files! Purchase the Answer Key For the Exercises in Yiddish: An Introduction to the Language, Literature and Culture, Volume 1.